Was born in Terre Haute, Indiana, and baptized as Herman Theodore Dreiser. 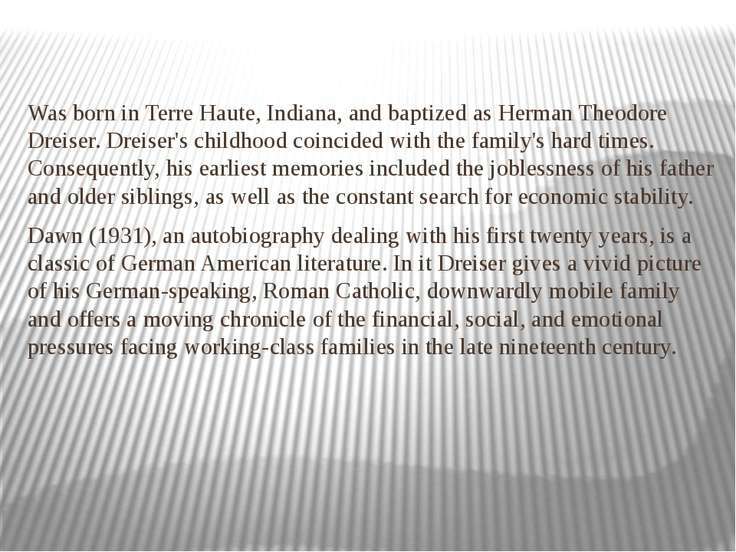 Dreiser's childhood coincided with the family's hard times. 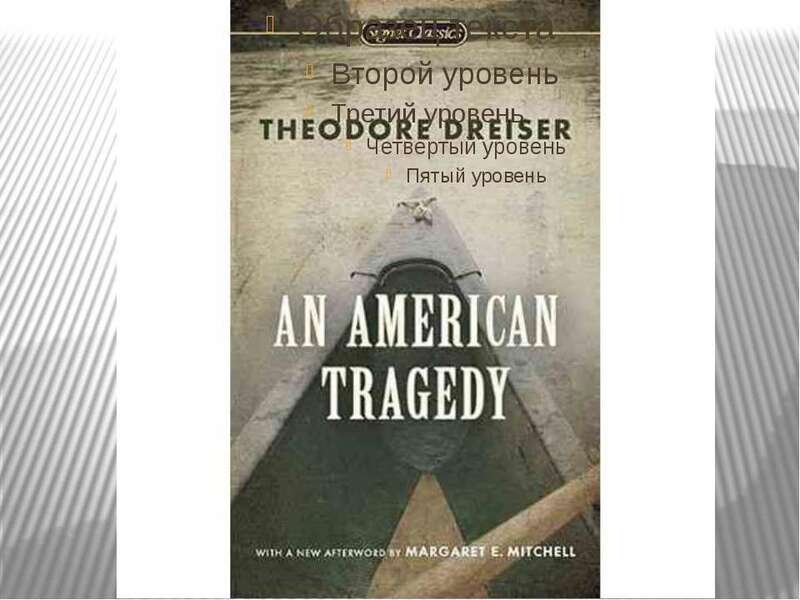 Consequently, his earliest memories included the joblessness of his father and older siblings, as well as the constant search for economic stability. 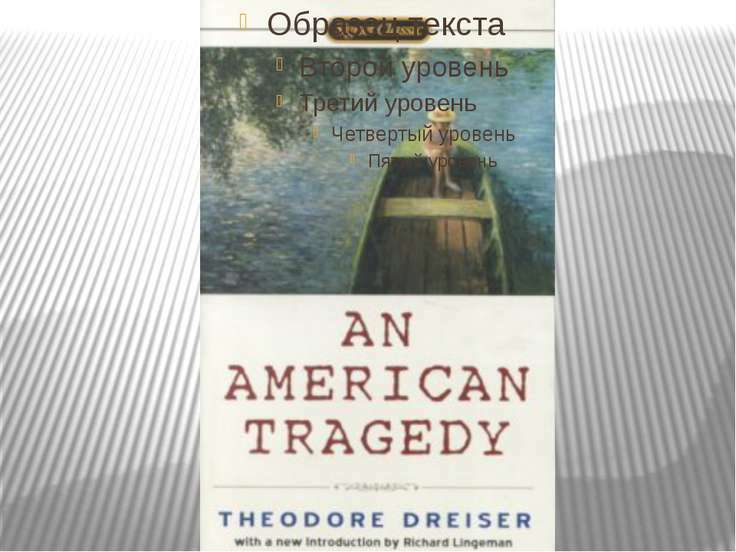 Dawn (1931), an autobiography dealing with his first twenty years, is a classic of German American literature. 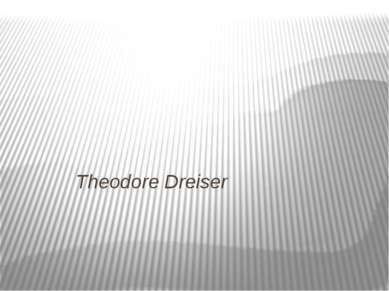 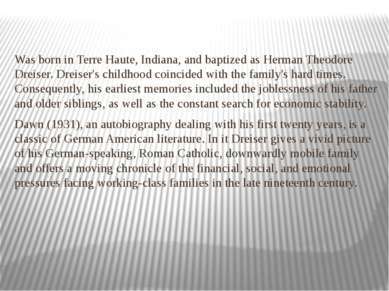 In it Dreiser gives a vivid picture of his German-speaking, Roman Catholic, downwardly mobile family and offers a moving chronicle of the financial, social, and emotional pressures facing working-class families in the late nineteenth century. 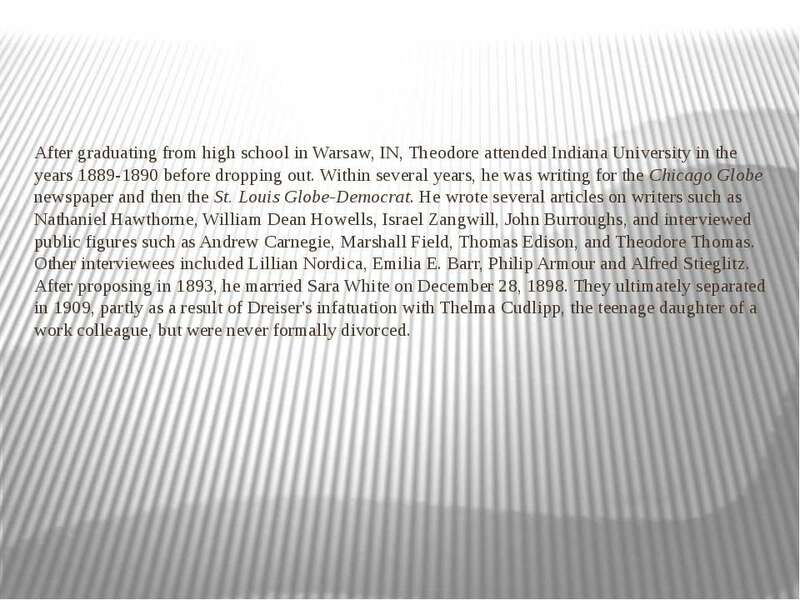 After graduating from high school in Warsaw, IN, Theodore attended Indiana University in the years 1889-1890 before dropping out. Within several years, he was writing for the Chicago Globe newspaper and then the St. Louis Globe-Democrat. 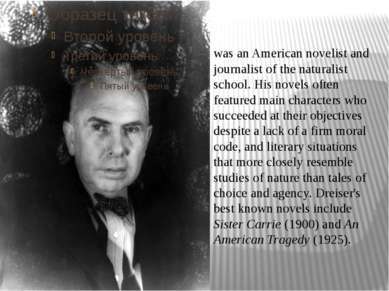 He wrote several articles on writers such as Nathaniel Hawthorne, William Dean Howells, Israel Zangwill, John Burroughs, and interviewed public figures such as Andrew Carnegie, Marshall Field, Thomas Edison, and Theodore Thomas. 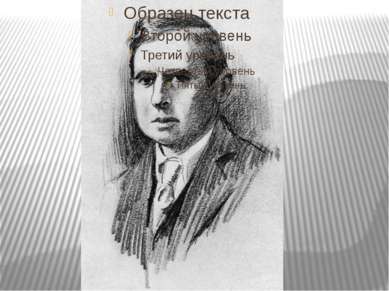 Other interviewees included Lillian Nordica, Emilia E. Barr, Philip Armour and Alfred Stieglitz. 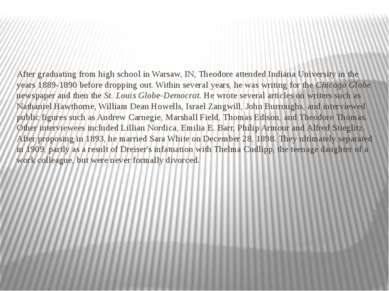 After proposing in 1893, he married Sara White on December 28, 1898. 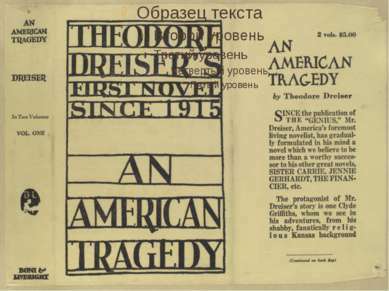 They ultimately separated in 1909, partly as a result of Dreiser's infatuation with Thelma Cudlipp, the teenage daughter of a work colleague, but were never formally divorced. 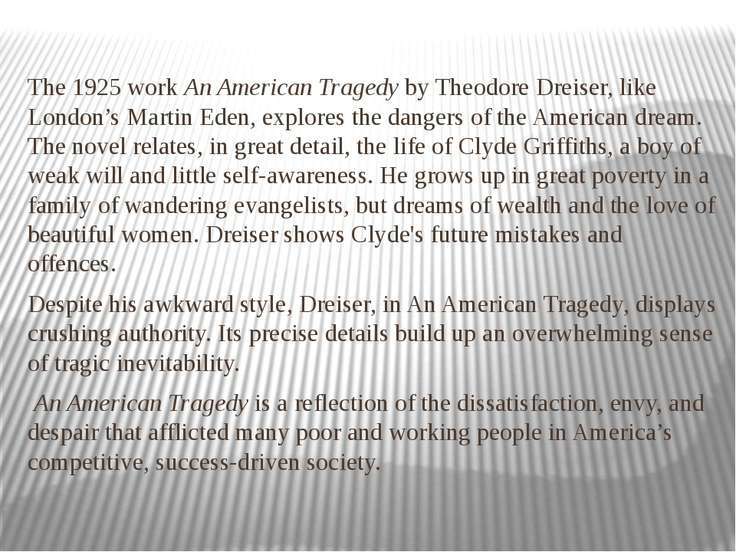 The 1925 work An American Tragedy by Theodore Dreiser, like London’s Martin Eden, explores the dangers of the American dream. 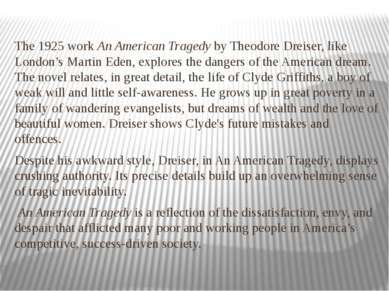 The novel relates, in great detail, the life of Clyde Griffiths, a boy of weak will and little self-awareness. He grows up in great poverty in a family of wandering evangelists, but dreams of wealth and the love of beautiful women. 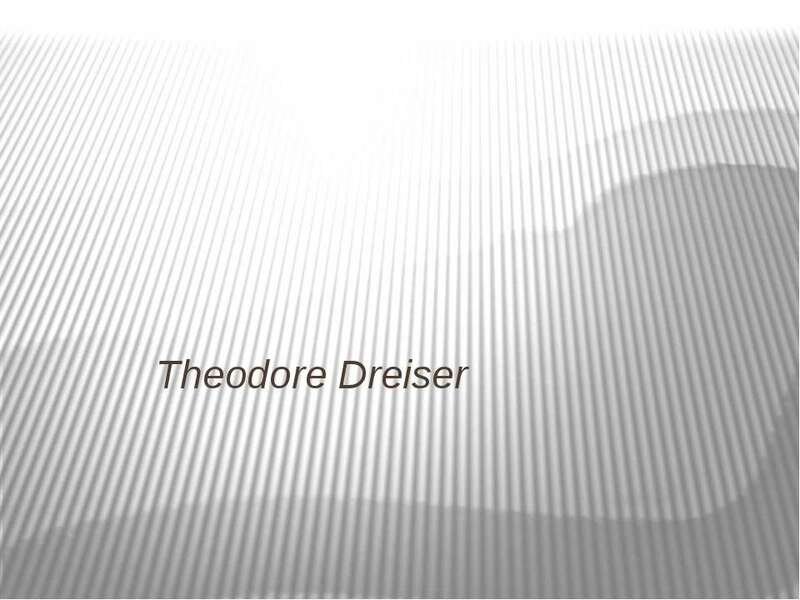 Dreiser shows Clyde's future mistakes and offences. Despite his awkward style, Dreiser, in An American Tragedy, displays crushing authority. Its precise details build up an overwhelming sense of tragic inevitability. 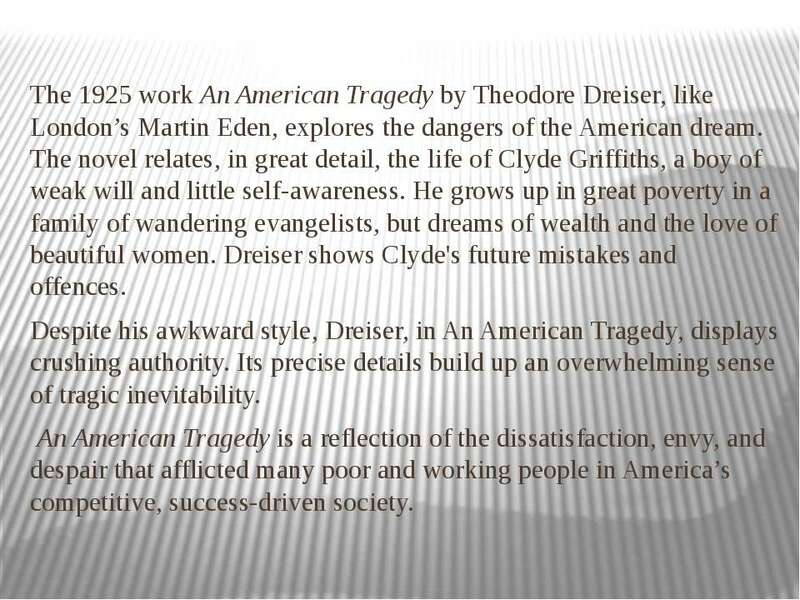 An American Tragedy is a reflection of the dissatisfaction, envy, and despair that afflicted many poor and working people in America’s competitive, success-driven society. 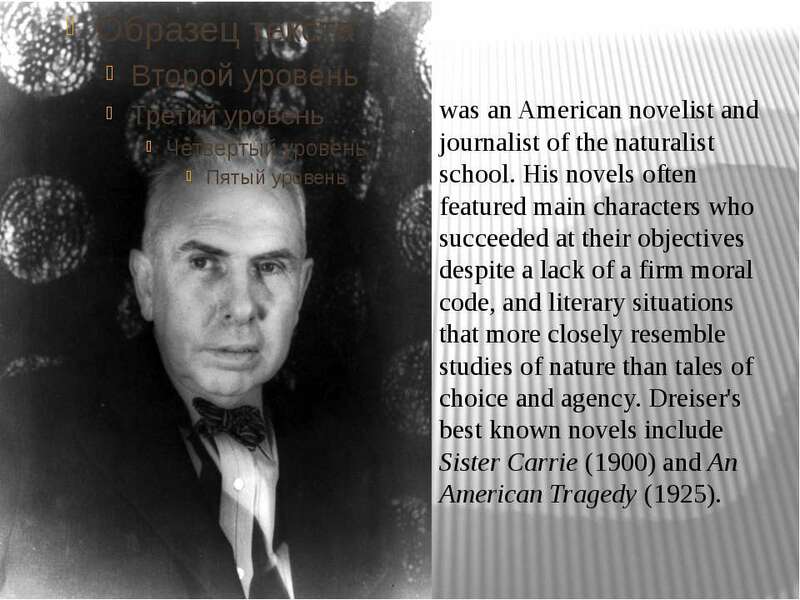 Theodore Dreiser died on 28th December 1945. Henry L. Mencken, who had been a great supporter of Dreiser during his lifetime, argued: "No other American of his generation left so wide and handsome a mark upon the national letters. American writing, before and after his time, differed almost as much as biology before and after Darwin. He was a man of large originality, of profound feeling, and of unshakable courage. 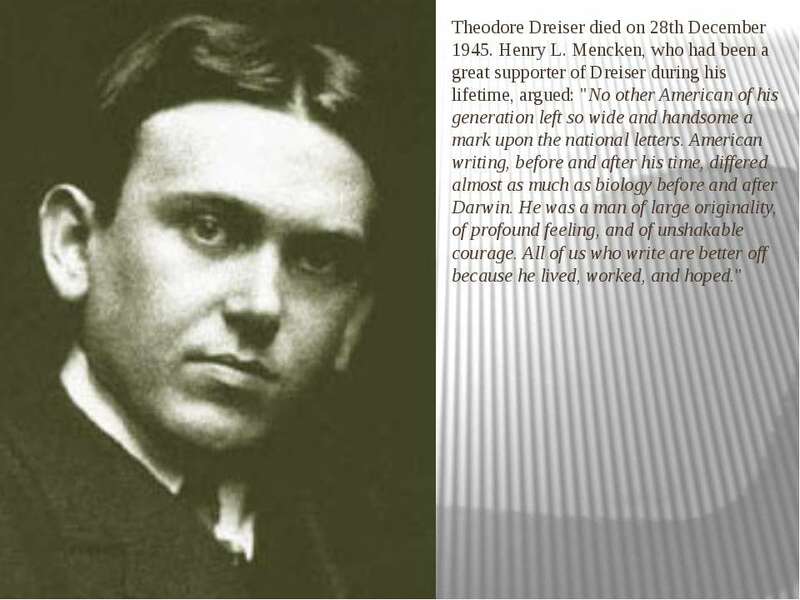 All of us who write are better off because he lived, worked, and hoped."